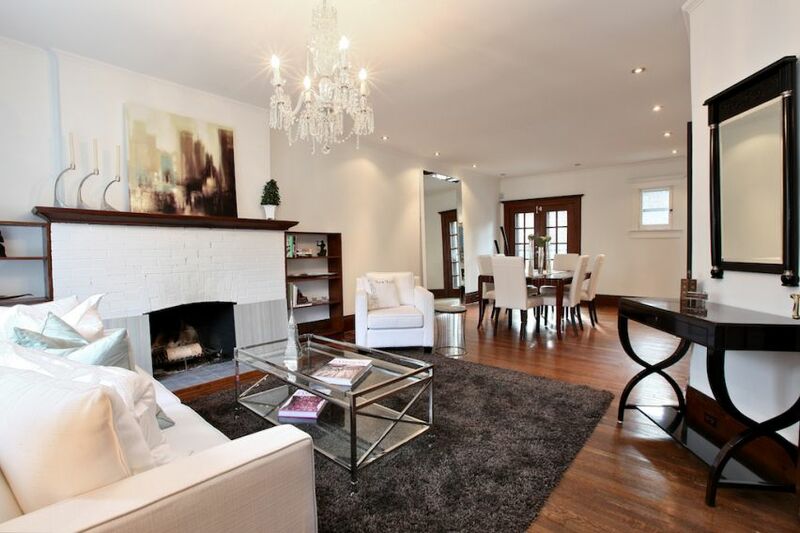 Description: Incredible Opportunity To Own A Sumptuous Urban Retreat At A Coveted Address. A Soaring 18 Ft Grand Entrance W/Floating Staircase,An Open Concept Living/Dining Room,And An Opulent Master Suite W/A New Decadent 'Spa-Style' Ensuite Bathroom W/Luxurious Dressing Rm & Ensuite Laundry Provide The Perfect Blend Of Original Architectural Details & Modern,Tasteful Upgrades. A Charming Library & A 3rd Flr Loft/Studio W/ W/O To Balcony Overlooking Both The Garden Oasis & Picturesque Tree-Top City Views W/Abundant Parkland & Lush Ravines; All This Is Just Minutes Away From Toronto's Major Business,Entertainment and Shopping Districts!